VANCOUVER — Stephanie Wood and Jeremy Rogers got in line at 8:32 a.m., and they were only the end of that line for a few seconds. By then hundreds had already been served a free breakfast. And there were hundreds more in front of them, waiting for their plates. Sure enough, there would be hundreds behind them. “I debated getting breakfast elsewhere, but it’s exciting to stand in line with so many other people,” Wood said. “Free admission, too,” Rogers added. “Free admission is definitely beneficial,” Wood said. 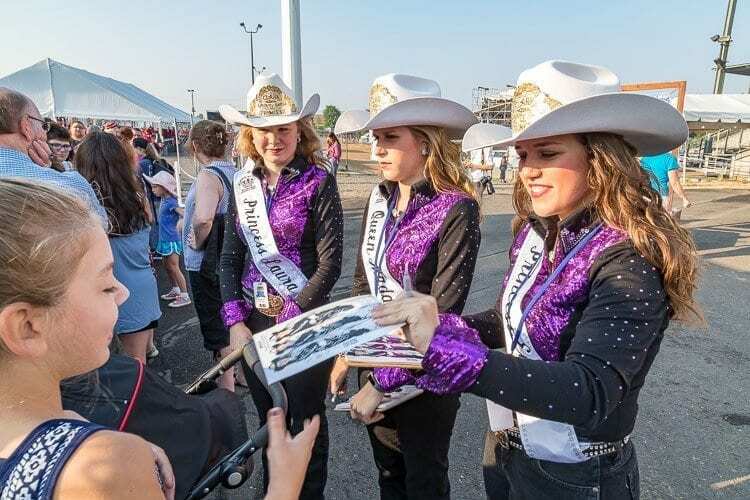 The 149th Clark County Fair opened Friday morning with the now traditional pancake breakfast provided by Fred Meyer. Plates started being offered just after 8 a.m.
Just his ‘’fair’’ attempt at humor. Other volunteers wondered how many years they had been doing this? Some five. Others more than 10. They keep coming back. A short walk away from the rides, real animals prepared for competition. OK, maybe it was their human handlers who were doing most of the prep work, but it is the animals who are the stars. Summer’s Best Party, as the fair advertises, will be a hot one. The forecast calls for 90-degree days for each of the first seven days of the 10-day run. 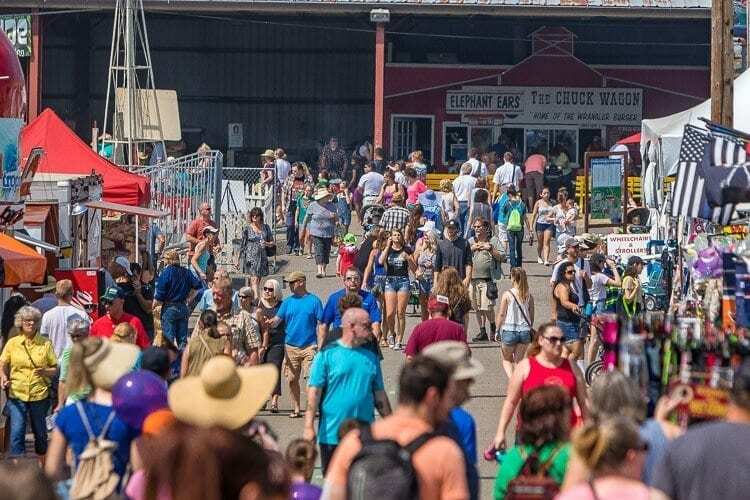 Jim Beriault, public relations director for the fair, said experts will be there to care for people and animals in dealing with the heat. In fact, the fair only comes about after months of planning. Beriault described it like hosting a Thanksgiving dinner. Six hours of cooking for 40 minutes of eating and then five hours of cleanup. “A lot of preparation goes into the fair that it runs smooth and people get maximum enjoyment out of it,” he said. Thousands showed up early Friday. 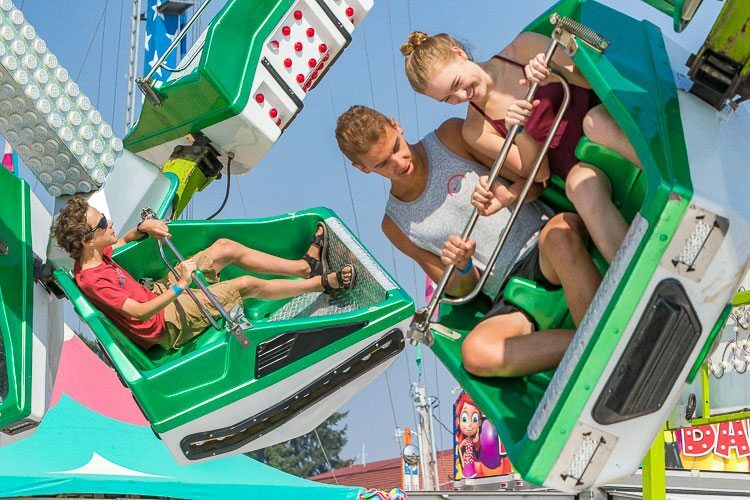 The 149th Clark County Fair opens every day at 10 a.m., with the carnival opening at noon each day, through Sun., Aug. 13. Tickets are $11.25 for adults, $9.25 for seniors and $8.25 for children 7 to 12. Children 6 and under are free. Parking is $6. Wood and Rogers, from Vancouver, did not seem to mind the wait for breakfast. In fact, they were happy they got there when they did. Try getting up at 4 a.m.
That is what it took for Theresa Anderson of Vancouver to be the first in line. 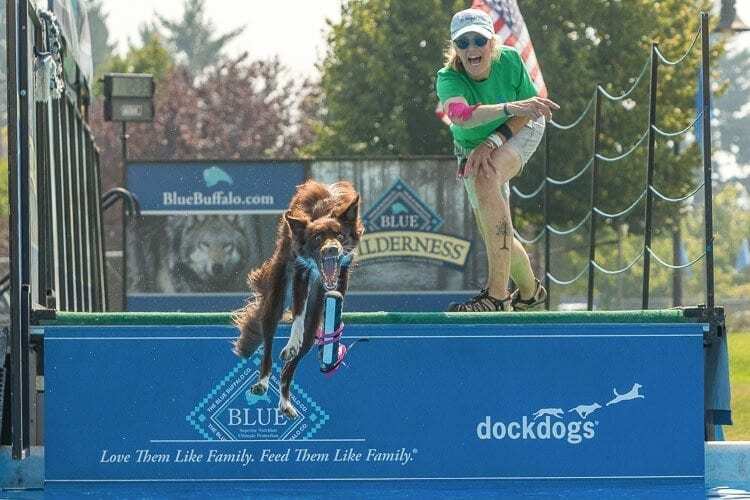 She and her group, a large family that included nine grandchildren, arrived at the fairgrounds at 5:30 a.m.
“It’s kind of like a challenge, to see if we can get there first,” Anderson said. 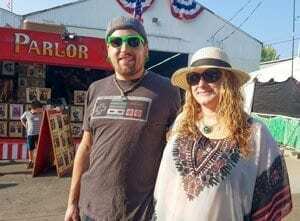 The Clark County Fair is a destination for many. More than 260,000 are expected to attend this year, Beriault said. For Anderson, it is a meeting point every summer for her family. Plus, for a family on a budget, opening day at the fair — free admission, free breakfast — has to be one of the best deals in town. “Grandma can afford to take all the kids to the fair,” Anderson said, adding that her whole life is focused on her grandchildren. Still, that’s an early wake-up call, isn’t it? The children are the reason Carolyn Escalera keeps working at the Clark County Fair. Part of the carnival circuit since 1984, she no longer travels but she enjoys her shifts at this fair. She said she has performed all aspects of the carnival, from rides, tickets, games, and food. “Ever seen a kid’s face after they won a prize? Or after coming off a ride for the first time? That’s what it’s all about,” she said. The fair is about animals, as well. And arts. Crafts. Games. Food and drink, too. “Doesn’t matter what the sign says, peach is the only flavor,” she said. It was an opinion, but said as a matter of fact. To each their own, right? And at the Clark County Fair, there appears to be something for everyone. Whether you get there early or on your own time. Summer’s Best Party has started. For more information, go to www.clarkcofair.com.